When I was rooting around in my fridge yesterday morning looking for some sort of lunch inspiration, I found a couple of courgettes that were looking way past their best. 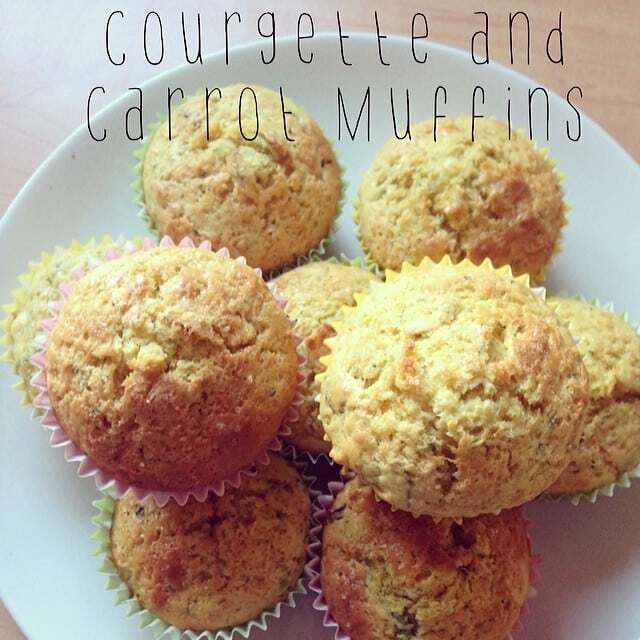 I also found a few tired looking carrots so I thought I’d try making some carrot and courgette muffins as a way of using them up rather than putting them in the bin. Perfect for freezing for packed lunches. Grate the carrot and courgette - you need to have around the same amount of each so you'll probably only need half the courgette. Give it a dab with kitchen roll to get rid of some of the moisture. Add the eggs, melted, raisins and milk to the grated vegetables and mix it together. In another bowl, mix the sugar, flour and baking powder together. Add the flour mix to the veggie mix and give it a good mix together. 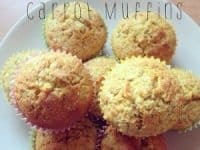 Spoon the finished muffin mix into muffin cases and add a sprinkle of brown sugar to the top of each one. 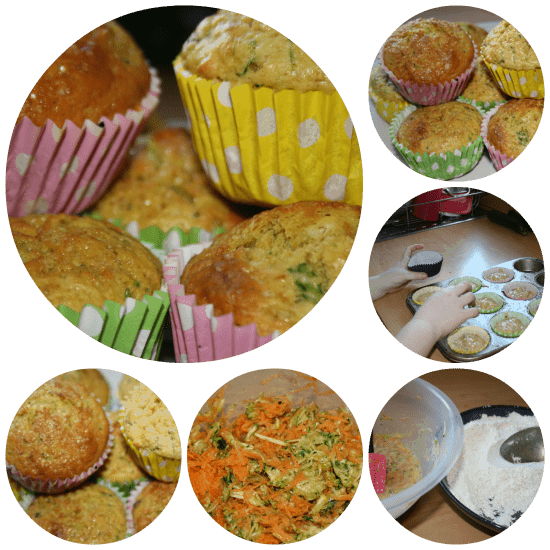 The finished result was delicious although they were quite moist (hence me adding in the step to the recipe of using kitchen roll to reduce the moisture in the veg) and we’ll definitely be making carrot and courgette muffins again in future. I usually freeze these types of fruit/veg muffins for up to a month which makes them perfect for packed lunches and after school snacks and even fussy eater Master Frugal managed to eat one which is an achievement in itself!